108 of Malmsey and let the party drink a quarter of a pint morning and evening. Probatum est. For the Stone Take of the green weed of the Sea which usually cometh with Oysters wash it and dry it to powder drink it with some Malmsey fasting and you will find ease. For the Ague. Take a red onion cut small six and fifhy grains of pepper beaten small bind it to the wrist half an hour before the Ague comes upon you. 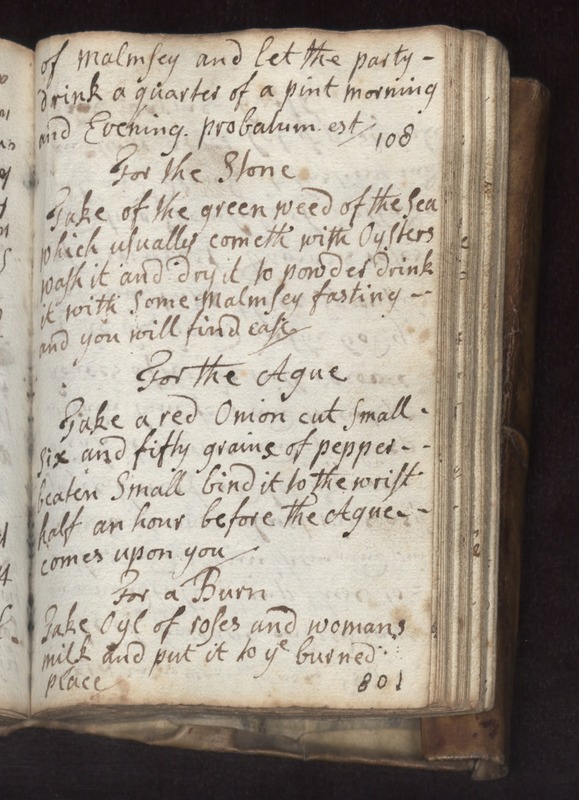 For a Burn Take oyl of roses and womans milk and ut it to ye burned place.